This map displays territory of Kazakhstan. interesting map of Uvarovka и OziExplorer calibration this. interesting map of Tastyozek for Garmin. detailed map of Shubar 1 cm to 1 km free download. detailed map of Razvil'noye calibrated this. interesting map of Lugovoye 1 cm to 1 km here. topographic map of Kugaly presented. actual map of Krugloye with gps calibration this. detailed map of Krivosheyevka download for free. detailed map of Konovalovka with gps calibration for Garmin. 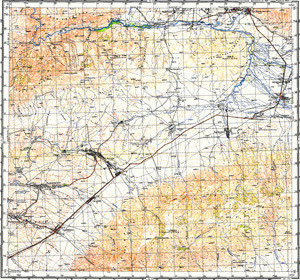 free map of Kholmogorovka и OziExplorer calibration presented. free map of Imeni Vtoroy Pyatiletki for Garmin. topographic map of Golubinovka calibrated presented. map of Budennovskoye for Garmin. actual map of Bastan 1 cm to 1 km displayed. free map of Bakhmutka calibrated presented. topographic map of Kalinovka with gps calibration displayed.